On the shores of Lake Titicaca, the celebration of the “Mamacha Candelaria” turns the Altiplano city into the folkloric capital of America. 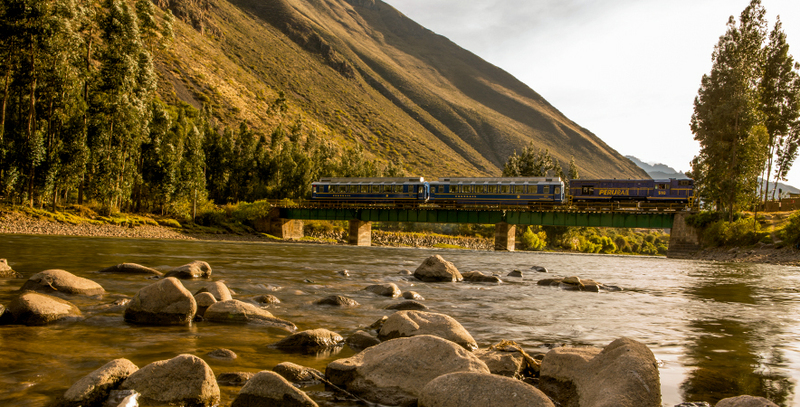 In Puno, from January 24 to February 11, the biggest festivity of Peru is celebrated in homage to the patron saint of this highland city. 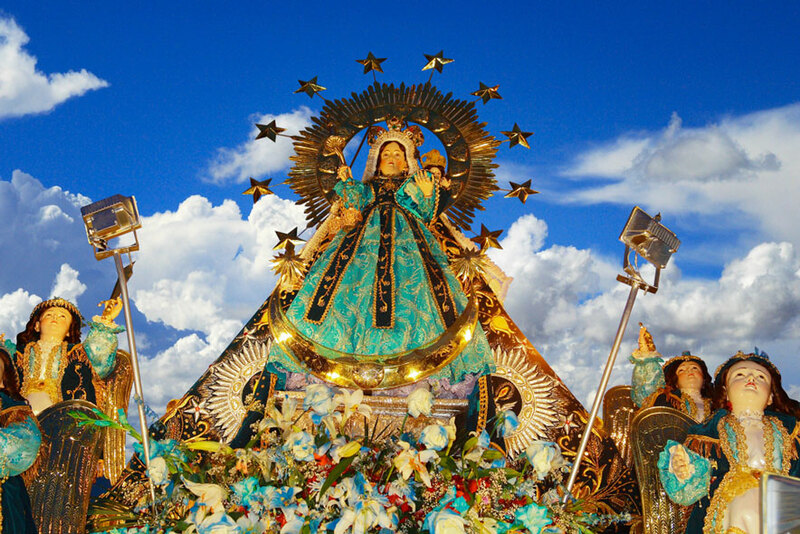 All the rituals celebrated in honor of the “Virgen de la Candelaria” are the result of the syncretism of two cultures and religions: the Catholic, and the pre-Hispanic. 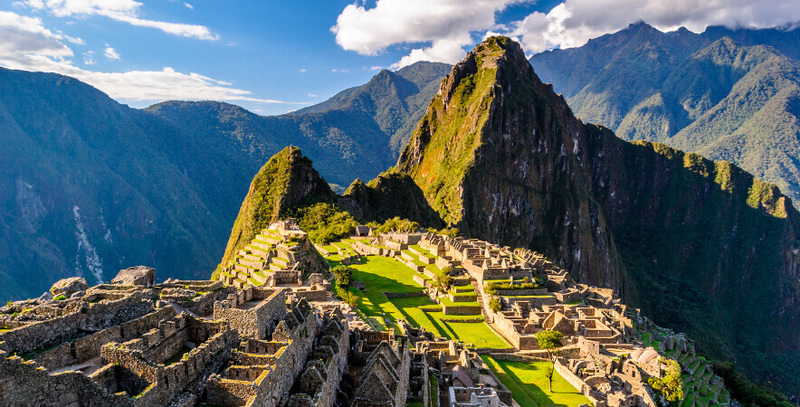 Due to this, during the celebration the Catholic traditions contain symbolic elements of the Andean cosmovision, since for this the Virgin of Candelaria is strongly associated with the pachamama or “mother earth”. It should be noted that this festival was declared as Intangible Cultural Heritage of Humanity, in 2014, by UNESCO. The central day of the festival is February 2; however, since previous weeks, different activities are carried out around the celebration. Day after day during the first two weeks of February, more than 40,000 dancers and 9,000 musicians from all over the department brighten and decorate the streets of Puno. February 2: The Central Day of the celebration in honor of the Mamacha Candelaria. A mass is celebrated and a emotional Procession of the Blessed Virgin of Candelaria. February 3: The Presentation of Native Dances with native costumes is carried out. It is one of the main events in honor of the Virgin of Candelaria, after that, the Regional Dance Contest with Typical and Native Costumes is held. The picturesque dances go through the main streets of the city center. The image of the “Mamita Candelaria”, as it is known, is accompanied by the faithful and folkloric groups that participated in the contest, accompanied with bands and parades. February 8: On this day the bands arrive for the dance competition with apotheosis receptions in squares and neighborhoods. From 6 in the afternoon, you can enjoy their melodies and lovely dances. February 9: You can attend the Masses of Albas from 5 in the morning at the Sanctuary of the Virgin of Candelaria. Dancers, bands and the general public attend this event. From 3 o’clock in the afternoon, all sets of dancers with beautiful costumes enter the center of the city, accompanied by their bands of musicians. At night, starting at 7 o’clock, the eve of the eighth celebration begin, where all the sets with elegant costumes go out in the streets to pay homage to the Virgin. At the end of the night you can enjoy a fireworks show. 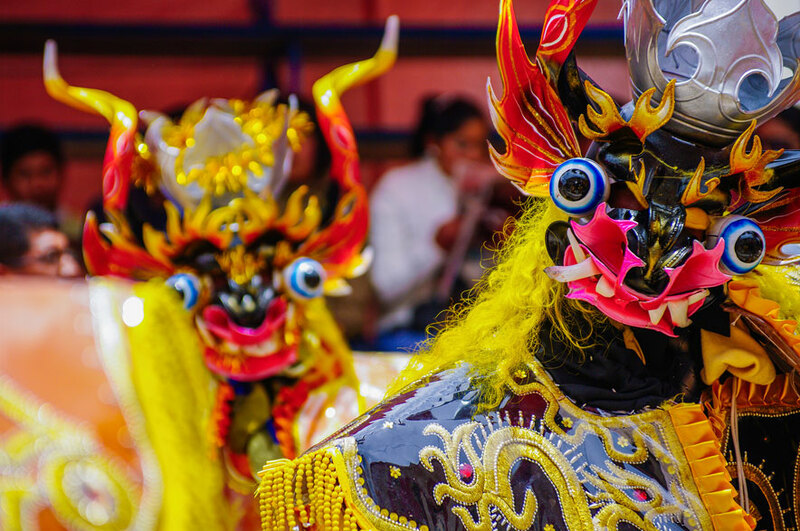 February 10: Do not miss the chance to enjoy the Great Contest of Costumes of Lights at the Torres Belón Stadium in Puno. It takes place from 7 in the morning until 5 in the afternoon. At the same time, in the afternoon and evening, some groups dance through the center of the city. 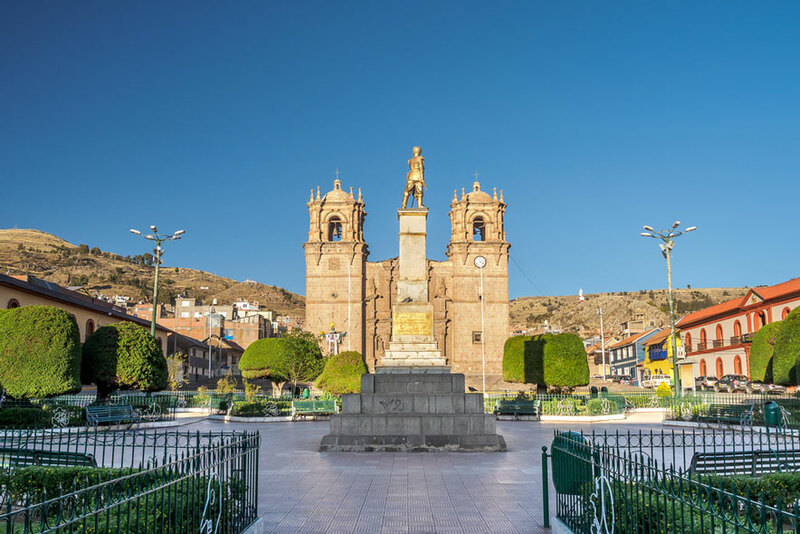 February 11: The day begins early, venerating the “Virgen de la Candelaria” through the streets of Puno with the accompaniment of the groups of Mestizo Dances, who pay homage in this multitudinous procession dancing for a journey of more than 4 kilometers. The festival is not over yet, the next three days you can enjoy various zonal parades through the north and south of the city. Days later, the Closing Ceremony and awards ceremony of the Regional Competition is held. Get your bags ready, within a few days the celebration begins! Do not miss the opportunity to be part of one of the most important folkloric events in Peru, in the highland city of Puno in honor of the “Virgen de la Candelaria”.